Pictured is the inside of the Pavlovich Ballet School Building, home of the Columbia Classical Ballet, as electrical crews shut off power Monday, in Columbia, S.C.
Wenyu Guo (left) rehearsed with Nations Wilkes-Davis last week in the studio prior to the flooding. 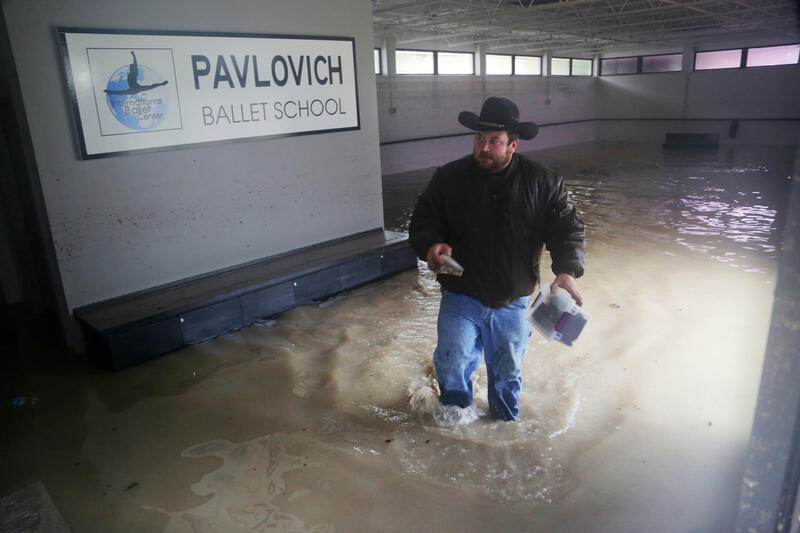 Among the institutions devastated by the flooding in South Carolina is the home of a ballet company. 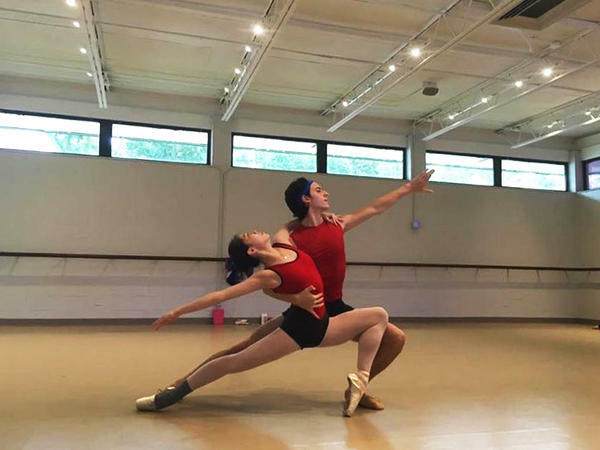 Dancers from around the world have come to Columbia to dance in the Columbia Classical Ballet Company, founded more than 20 years ago by Radenko Pavlovich. Now the company's 32 members have nowhere to rehearse or take classes. Their building, renovated just this summer, has been completely destroyed. During the flooding, water reached up to the ceiling of the studio. Costumes and music scores were ruined. Pavlovich says he's in shock. "The entire building needs to be gutted. They're demolishing everything inside because the whole building is contaminated. They found snakes. Because of the bacteria, they have to take everything out," he says. Radenko says he has been told his flood insurance may cover only "about 50 percent and we're talking about a half-a-million-dollar construction." The Columbia Classical Ballet Company performs for thousands of students throughout South Carolina. The building was also home to the Pavlovich Dance School. Many of its dancers, such as Washington Ballet soloist Brooklyn Mack, have gone on to perform with professional companies. Radenko says Mack has stepped in to help lead a fundraising campaign. "What I want to tell you, which is amazing, is, this morning a majority of our dancers came to try and help save the stuff, the music, anything that was salvageable, costumes," says Radenko. "It shows you a company is like a family." They have performances scheduled in less than two weeks.